Alsace: Hands down, one of the best regions for white wine ever. Pinot Blanc is refreshing in its simplicity, Pinot Gris is rich and round, blends are unique and complex, and the Cremants (sparkling) from Alsace are devine. Not to mention affordable. In all, a region producing an array of whites – from sparkling to dry to sweet – that are ideal for food and easy on the wallet. Loire: Wait, did I say Alsace was hands down best for whites. Hmmm… I take it back. Because there is also the Loire. Another French region so often overlooked, the Loire produces food-friendly whites, reds, rose, sparkling and sweet wines, with a huge range of flavors, from refreshing Muscadet to steely Sancerre to off-dry Vouvray to light and fresh Chinon (a red wine). And it’s all so damn good, with one underlying aspect: acidity! These wines are all crisp and perfect with food. So if you love acid, buy a bottle (of anything!) from the Loire. Your palate will thank you. Western Australia: Australia gets lots of love, but Baroassa Shiraz, Clare Valley Rieslings and Yarra Valley Pinot are diverse and all, but you have to try Margaret River wines to truly understand the depth of Australian wine. All the way across the country, Margaret River is a region with a climate similar to Bordeaux, which results in incredible Cabernet and Cabernet blends. For whites, they make some of the best Chardonnay I’ve had, definitely the best in Australia. Just give Leeuwin Artist Series or Cullen a try. You’ll be in heaven. Austria: I’m hesitant to even put this on here because Austria is gaining some ground in hype and availability of its wines. Gruner Veltliner is obviously the top white to try (one of the best to pair with those vegetables that never pair well with foods), and then you have a whole line up of hard-to-pronounce reds like Zweigelt and Blaufrankish. They won’t be your typical Cab/Merlot/Pinot flavor profile, but they are interesting and.. you guessed it. Food friendly (do you see my theme here?). So give some of these wines a try – for the ones you can find – and broaden that palate. You’ll be well on your way to wine geekdom. The problem with productive wine lunches is that they lead to slightly less productive afternoons. So I write of that lunch and the delicious wines tried an entire week after the fact. I’ve had a few lovely dinners and lunches with the charming Ian Hongell, senior winemaker at Peter Lehmann wines. 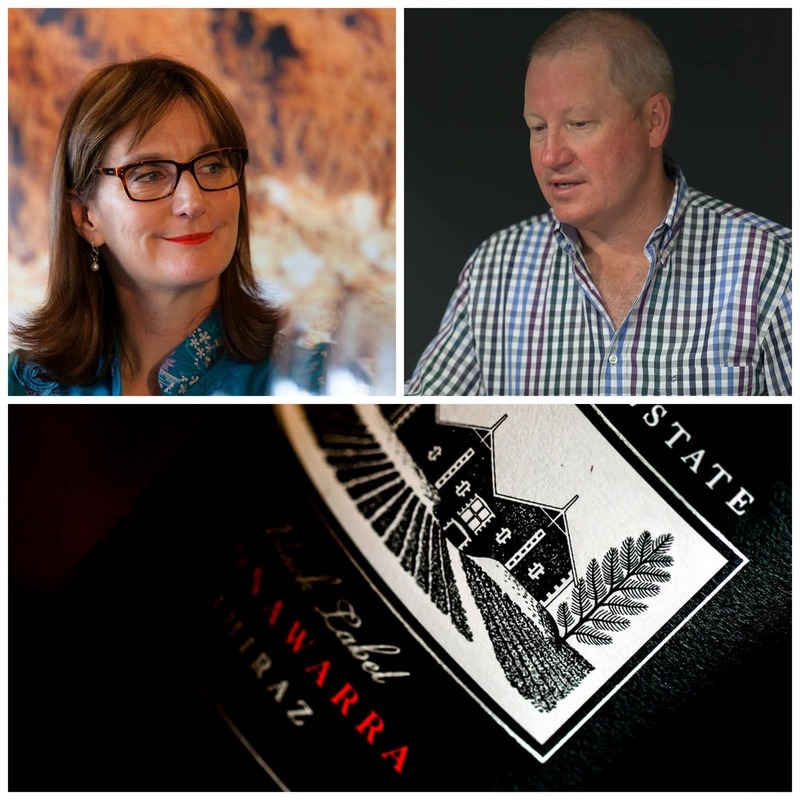 I first met Ian at the Barossa winery in 2007, when my husband and I travelled down under and toured a number of wineries. Our tour of Peter Lehmann winery stood out due to our immediate connection with Ian. His affability and passion for his wines sunk in and we became big fans of both Ian and the winery. Hard not to – with a line up that ranges from killer deal to cellar-worthy collectible, Peter Lehmann has a focus on quality and affordability. Let’s just say that all the wines I tried from Peter Lehmann are good. Some are more drink-it-now everyday style wine, like the dry Riesling, the Chardonnay and the newest line, Layers. Layers produces both a red and white blend under the label. The white is a definite Australia blend, with Semillon, Australian Muscat, Gewurztraminer, Pinot Gris and Chardonnay. It’s not sweet, per-se, but it has that ripe, Muscat/Gewurz aroma and flavor. In fact, there are layers of fruit in here! I’d recommend it to anyone who enjoys Conundrum or Evolution – it’s fantastic with spicy or salty food. We enjoyed it with some fried green tomatos at One Market – can you say yum? The red is a Rhone blend, with Shiraz, Mourvedre and Grenache as the lead grapes. It’s smooth and easy-drinking, great fruit and spice blend and a fantastic everyday red. One of the terribly affordable but tastes-like-a-$30-bottle that impressed me was the new vintage and label of Clancys, a uniquely Australian blend of Shiraz, Cabernet Sauvignon and Merlot. So well-balanced between fruit and structure, and a great wine with food. Hope to have this new vintage – and label – on the site soon! Finally, what we like most about wine- the STORY behind it. The next wine I tried definitely has that. The Eight Songs, a decadent Shiraz full of dark berries and dark chocolate, is named for an operatic piece called The Eight Songs of a Mad King. King George III of Britain, as it is well-known, suffered from demential towards the end of his life. During this time, he apparently wrote songs and played them on his organ. Eight Songs pays tribute to these songs by printing differing sets of the lyrics on each label. The wine is divine, in a word. It’s silky smooth – almost too much so. 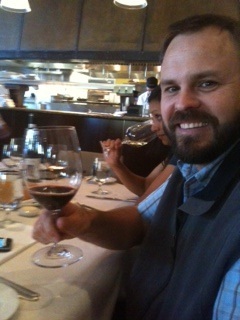 We tried both the ’05 and ’06 vintages, and while I loved them both, the ’06 stood out with its complexity and layers. Felt like there were 9 songs going on in the glass. So sing a song for King George III with a bottle of Eight Songs. 2006 should be here soon so stay tuned. Cheers! In 2007 I had the pleasure of visiting the great wine country of Australia. The two things I noticed there: the country is REALLY big and the people are REALLY nice. And I mean genuinely nice. One of our favorite properties we visited was d'Arenberg. Not only did we enjoy a personal tour with d'Arry himself, but we got to taste some fantastic wines. The Laughing Magpie – this name comes from a story of Chester's little girl. Finding the word kookaburra too difficult to pronounce, she called the bird a laughing magpie instead. Laughing Magpie is a Shiraz+Viognier blend that earns great reviews every year and is a perfect representative of the blend in Australia – usually available for under $25! Love Grass Shiraz – the flowers on the label make me think Grateful Dead, but the story comes from actual grass that is so sticky, they call it 'love grass' since it is so hard to detach from you. See the picture attached! 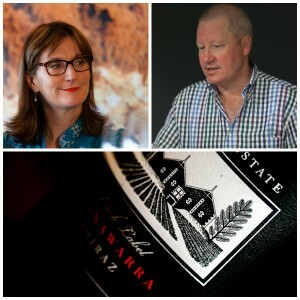 The Dead Arm Shiraz – a personal favorite and Wine.com's feature today. Dead Arm is named for the disease that affects the vineyard that Dead Arm grapes come from. The disease is called Eutypa dieback, which is actually a fungus, most often found in older vineyards. Most vineyards are trained with two arms out to the side. What happens with "dead arm" is that one arm of the vine becomes infected, and eventually dies off, leaving the other arm to receive all the vines energy and nutrients. The result is very concentrated grapes, which lead to a very concentrated wine, as you get in d'Arenberg's The Dead Arm. It's dense and jammy, but with layers of delicious fruit and spice. The sweet spice aromas actually remind me of the holidays, which makes it perfect for the season.